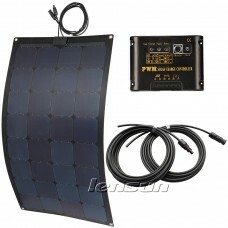 Customize your own flexible solar panel. 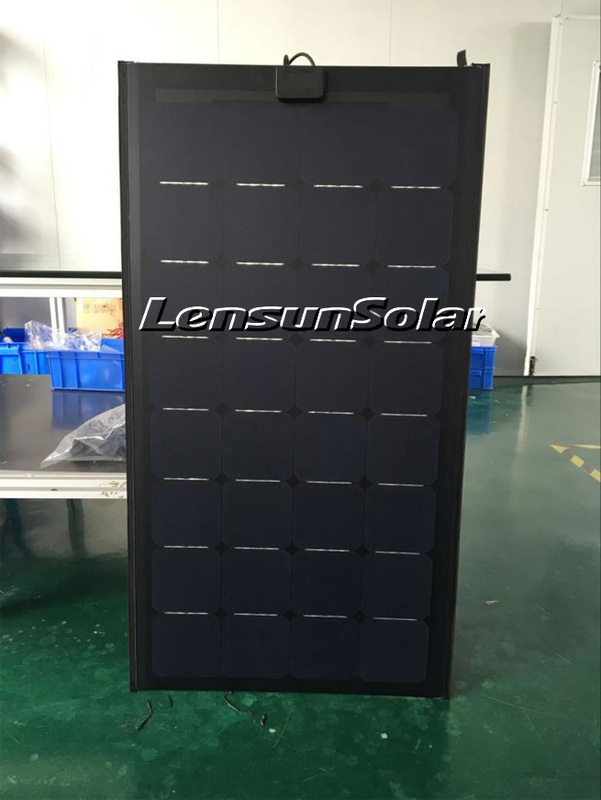 Lensun Solar Energy offers custom services for your needs regarding the solar panel size, junction box location, cables etc. 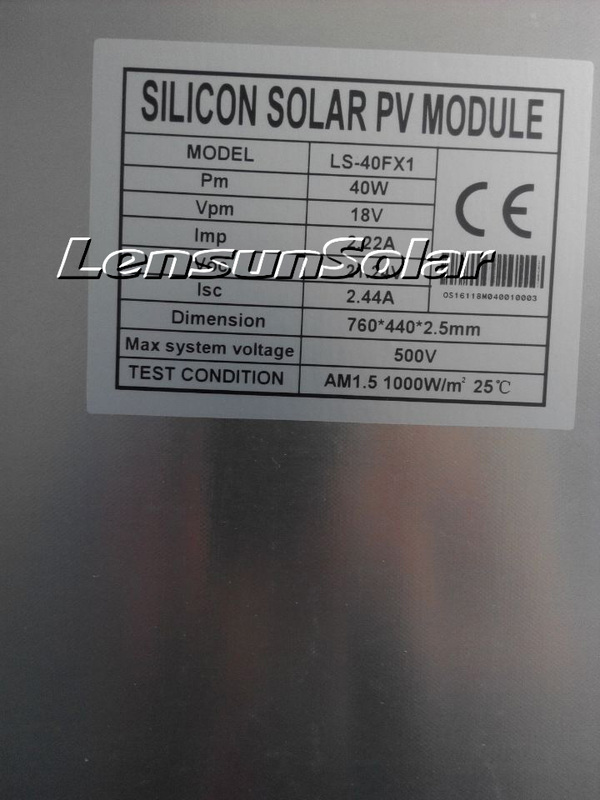 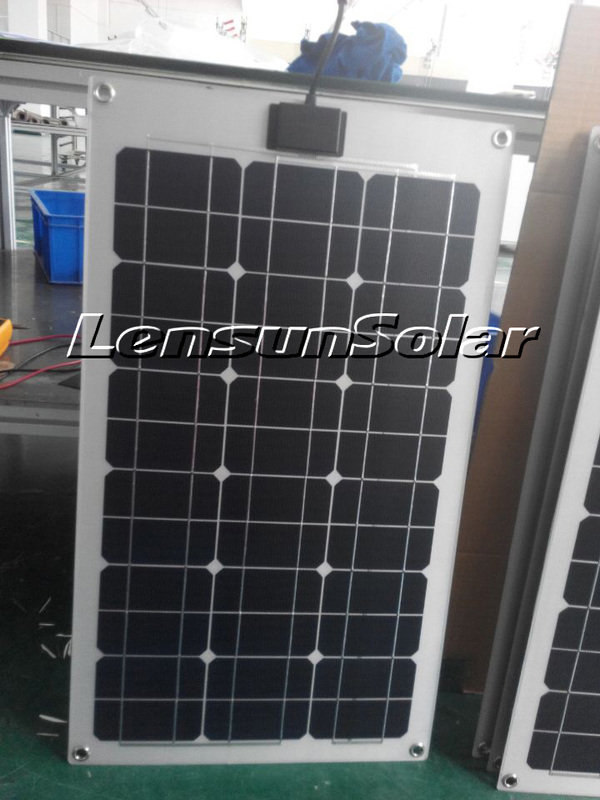 Welcome to Lensun Solar. 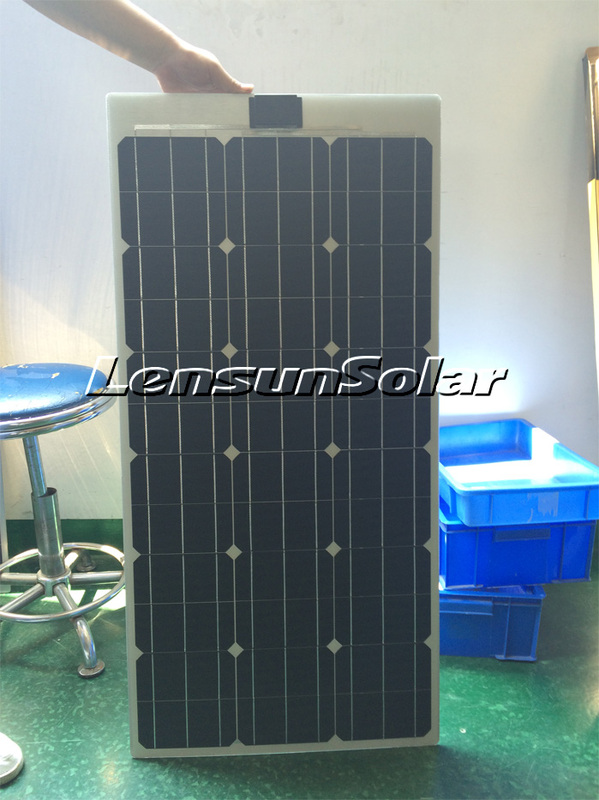 We provide the latest solar technologies for our customers. 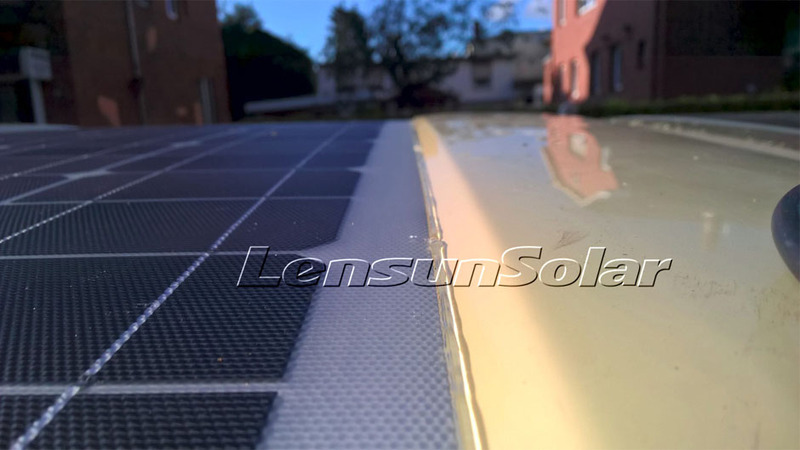 We offer a complete line of renewable energy products that exceed the highest quality standards in the industry. 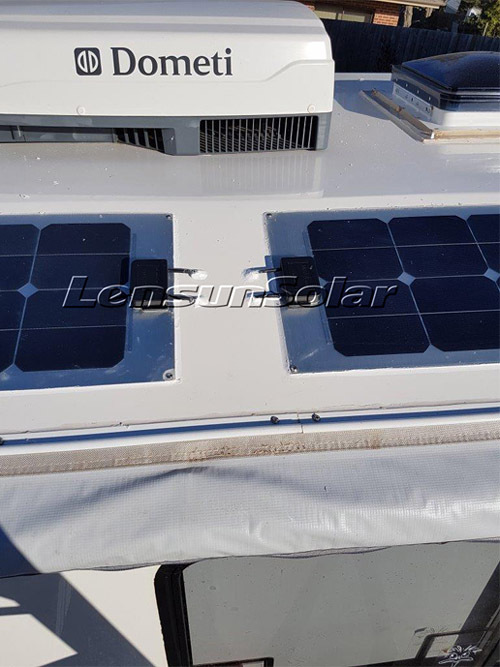 We offer our customers the best custom services, including high quality products as well as permanent technical support. 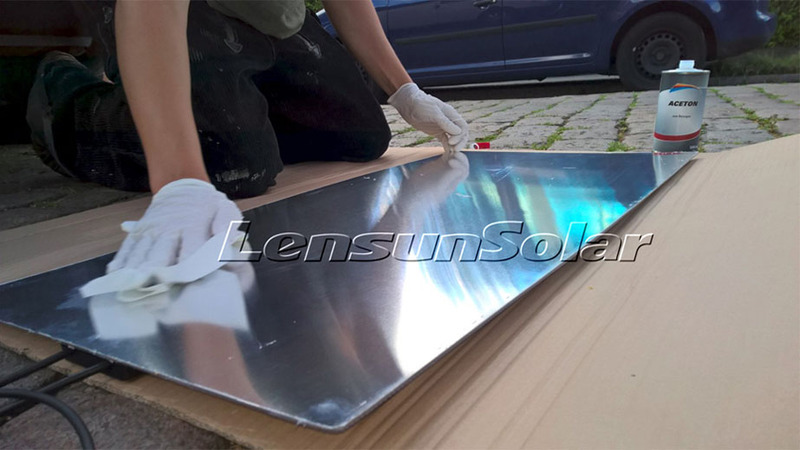 We provide custom services to our customers, which will save you a lot of time and costs. 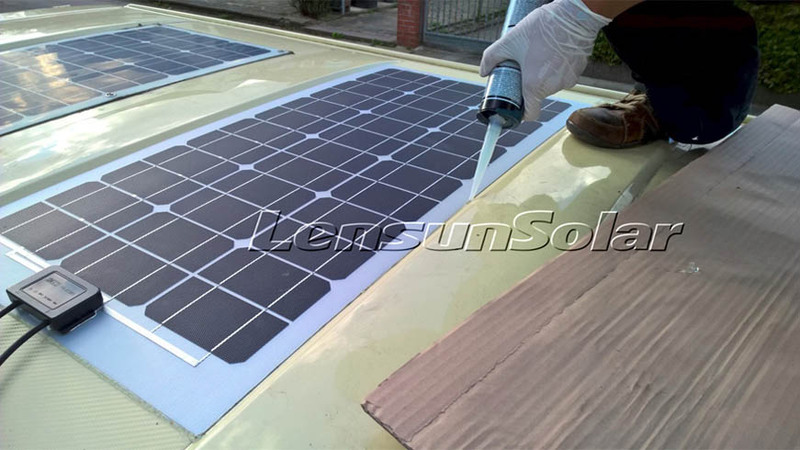 With a professional Research & Development team, we can provide suitable products according to your requirements. And we use high-efficiency cells and test our modules on our own flash tester. 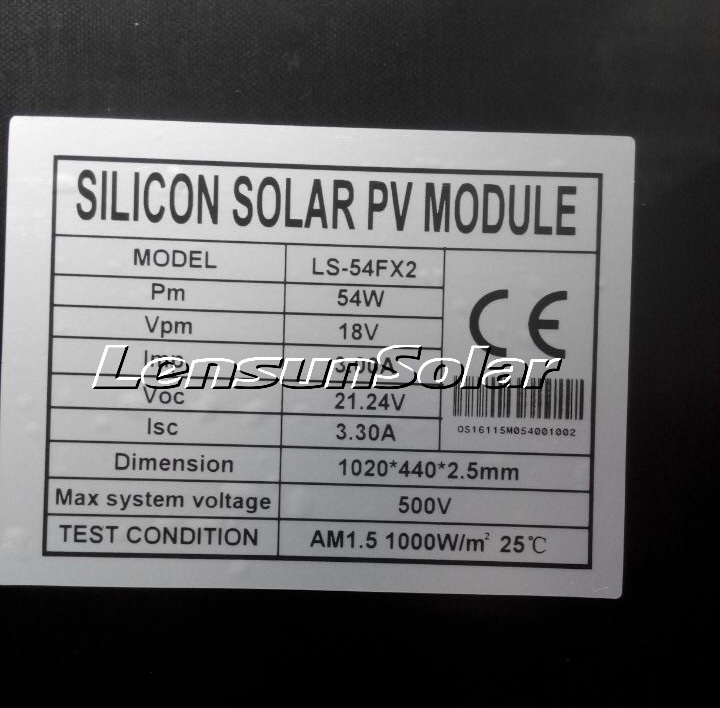 This means we measure the exact performance of each solar panel so that we can calculate a modules yield before you order it. 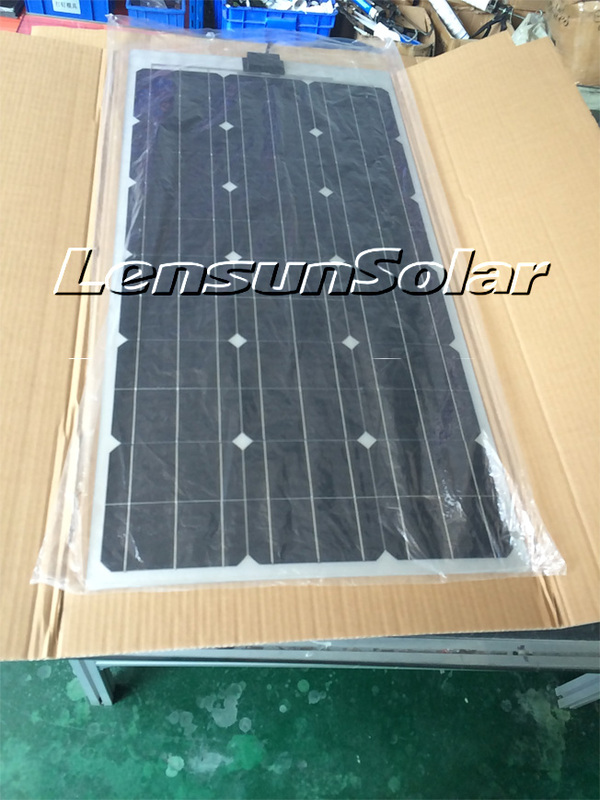 This makes certain that your custom solar panel will perform as promised. 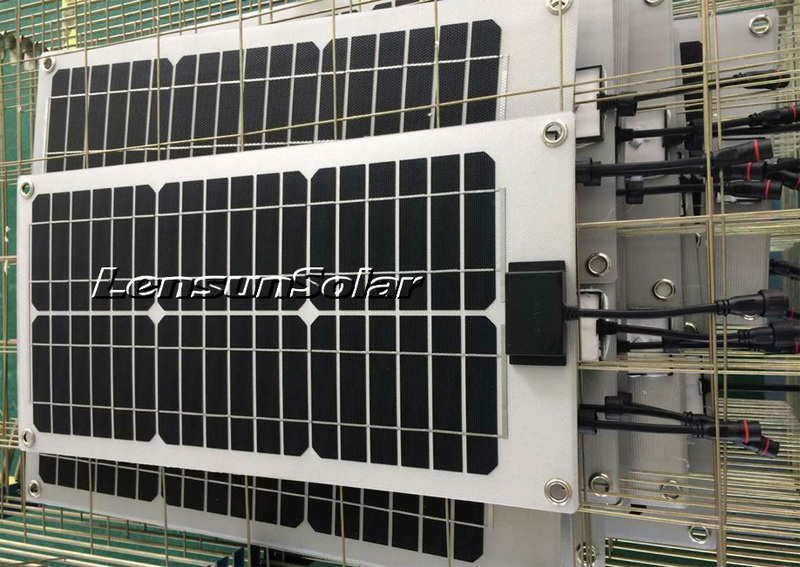 Custom solar panels are produced similarly to standard solar panels and use the same materials. 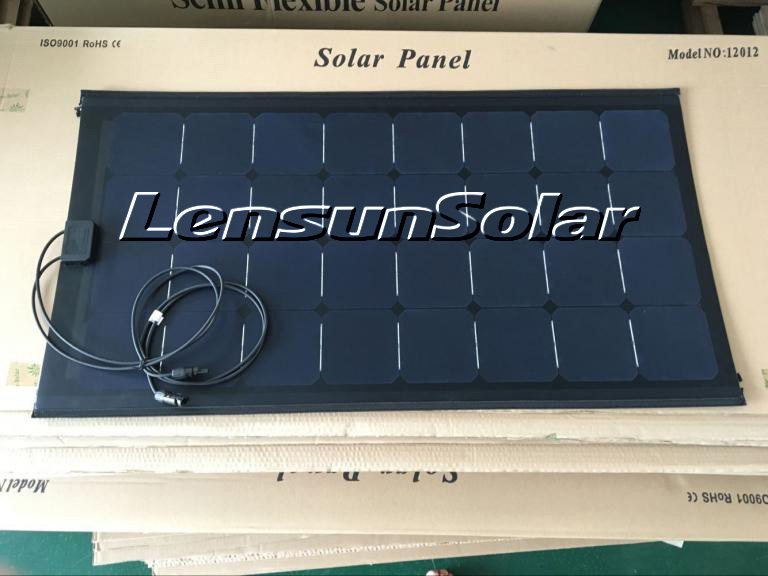 Because they are custom solar panels, you have the freedom to decide where the electrical connectors will be placed, the cell layout of your choice, and more. 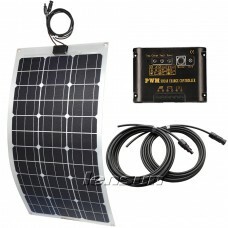 This way your solar panel will suit your project. 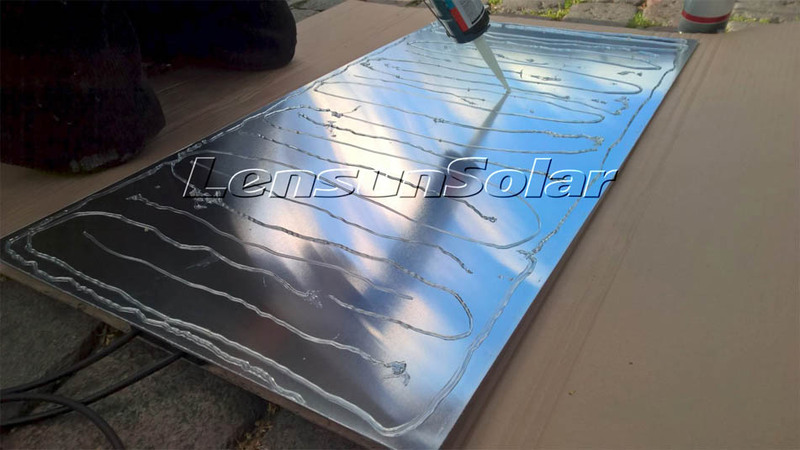 We offer engineering and design services to make any project become reality. 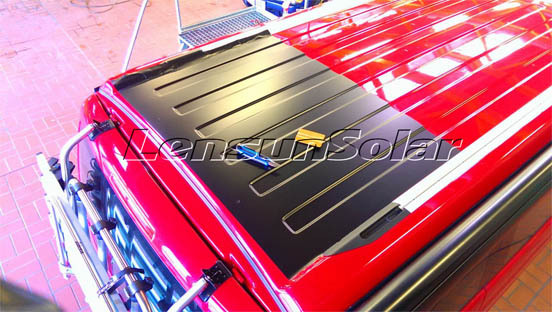 Custom panels for boats, yachts, motorhomes, caravans and specialist trailers. 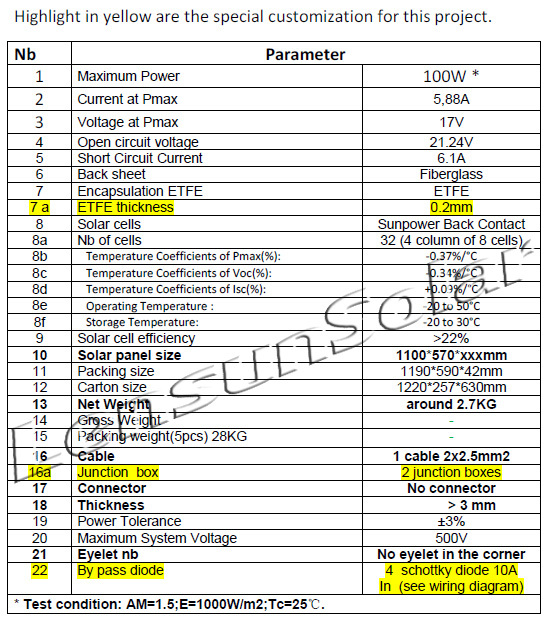 Please give us the dimensions and a clear description about the installation position you would like to have.We will then accuratelycalculate how much power it will generate for your chosen dimensions. 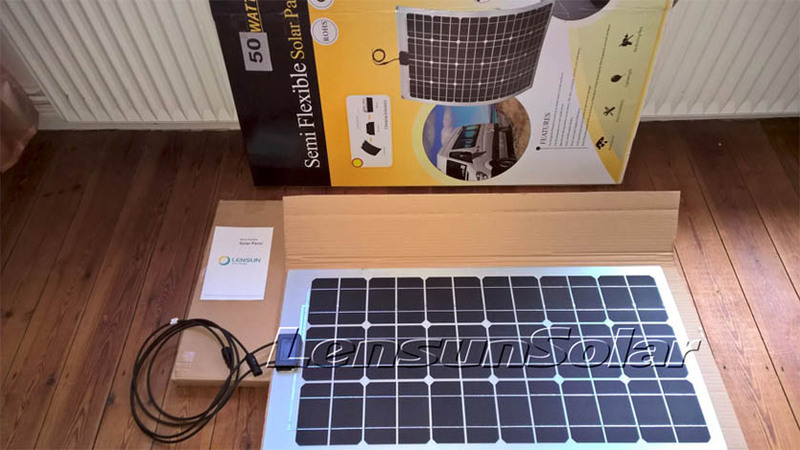 There are two types offlexible solar panels. 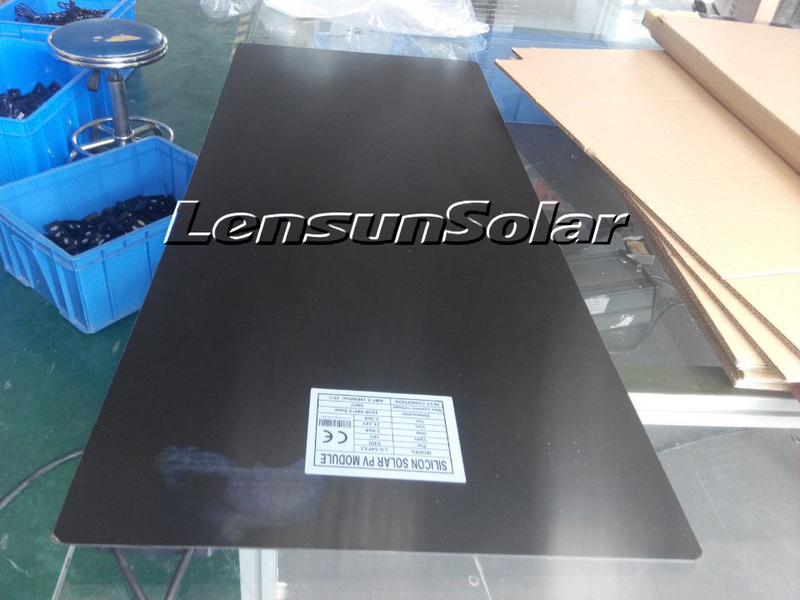 One is with aluminium back sheet, the othertype is with black fiberglass back sheet. 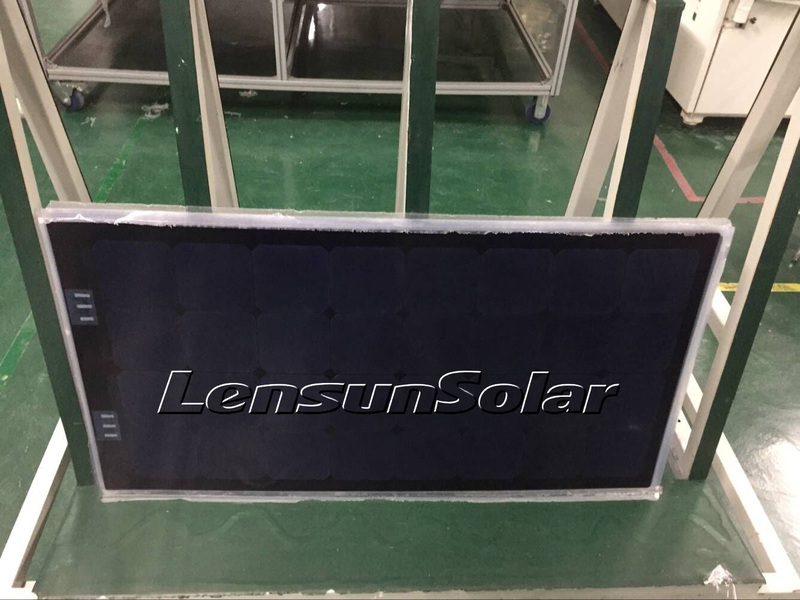 Their technology and quality are the same. 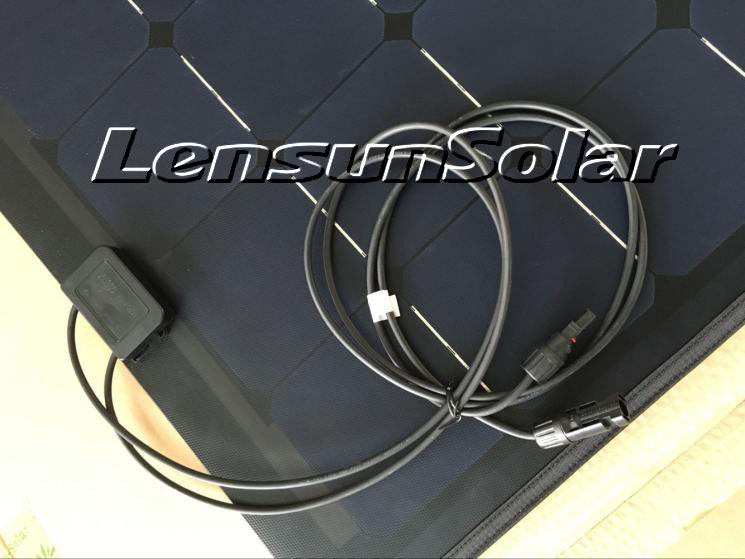 Lensun semi-flexible solar panels arenormally supplied with a 1.5m length of 2 core cables. 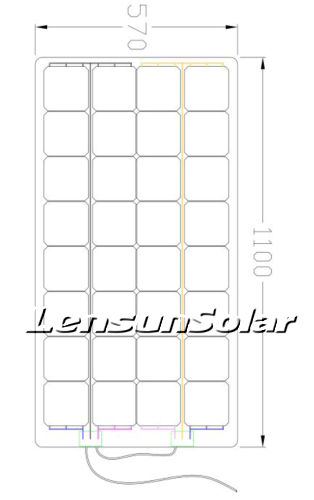 Pleaseask for longer lengths to be fitted, if required. 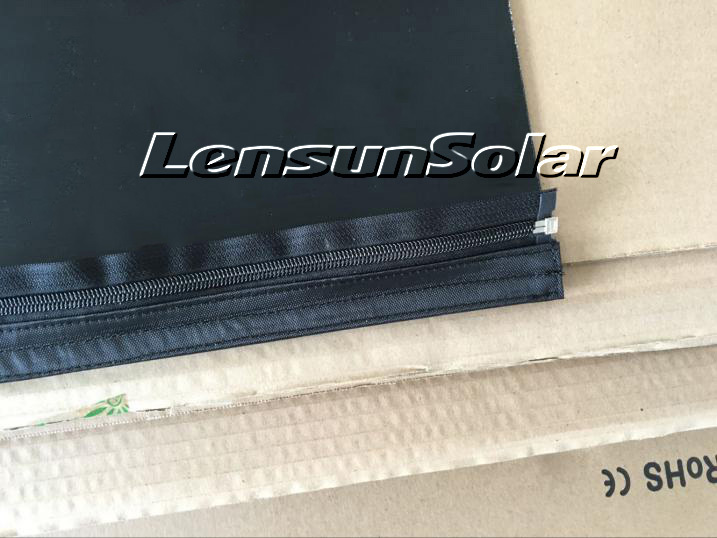 Lensun semi-flexible solar panels containfour eyelets onthe corners. 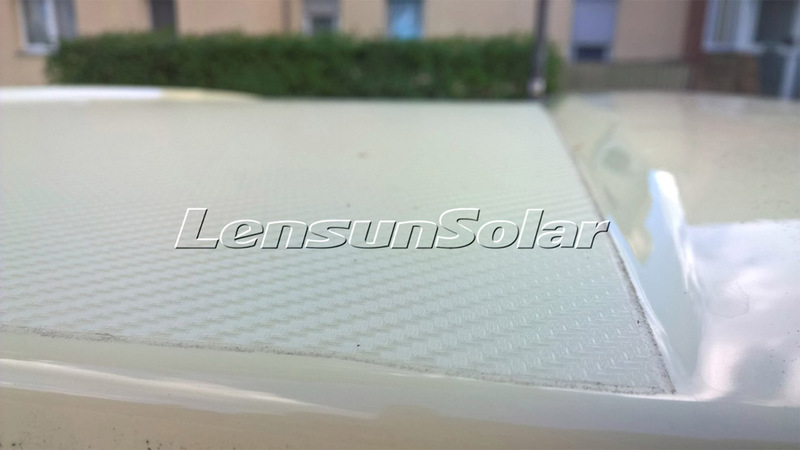 Please tell us if you do not need grommets. 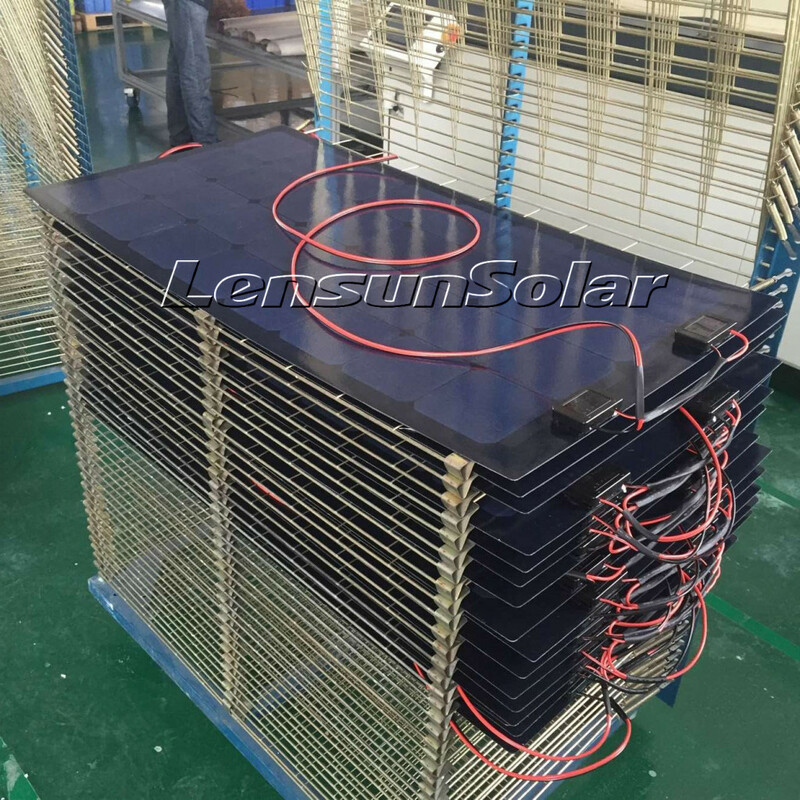 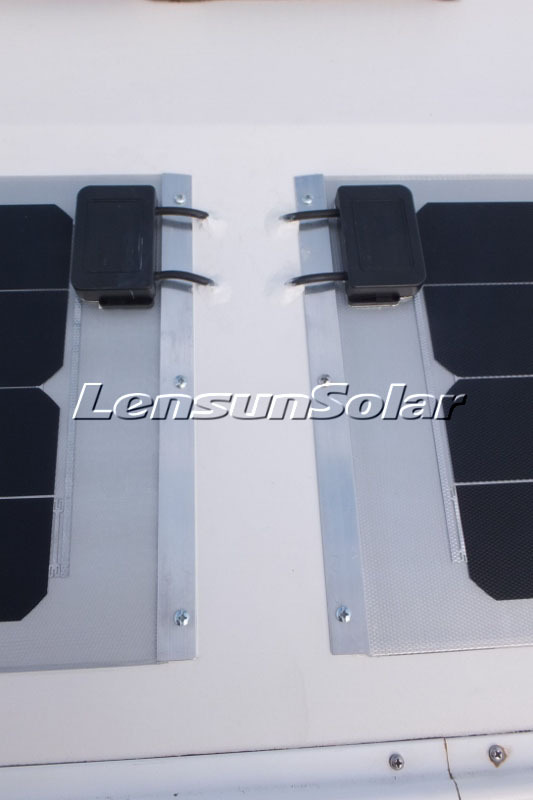 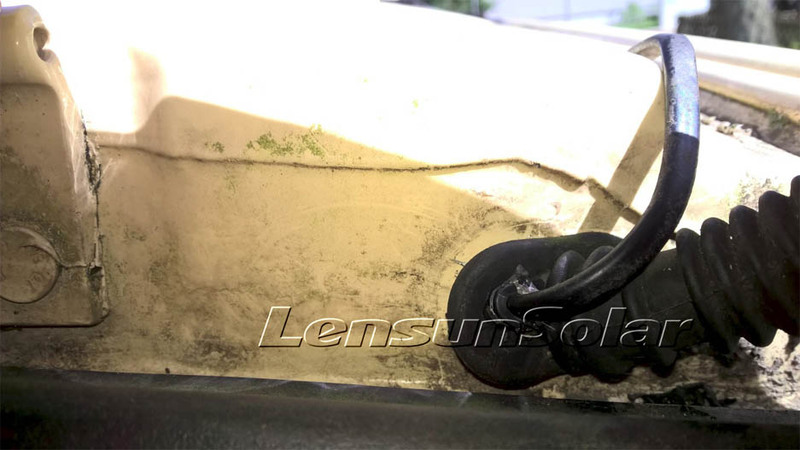 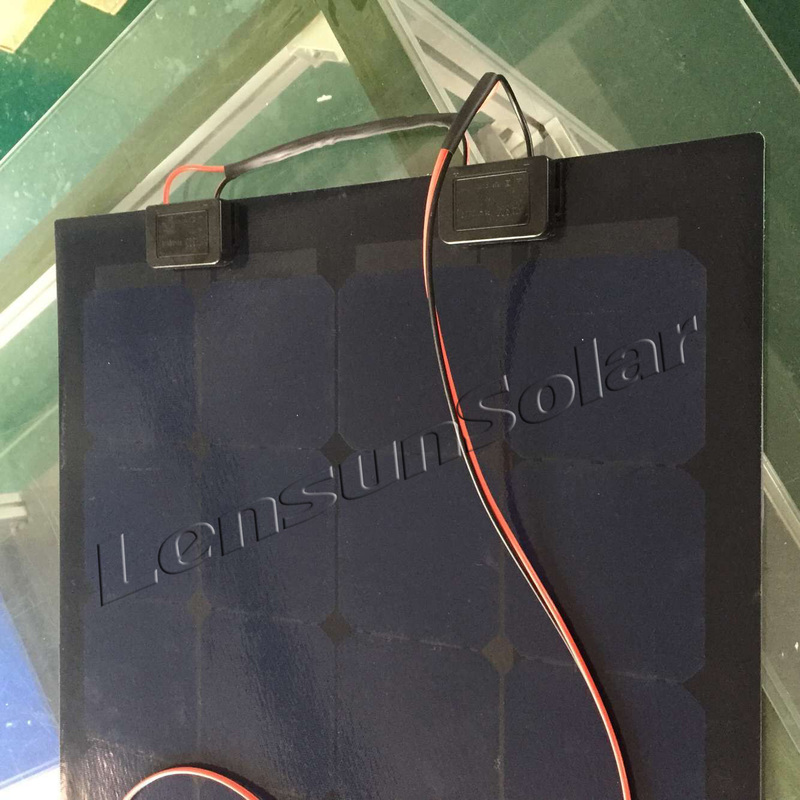 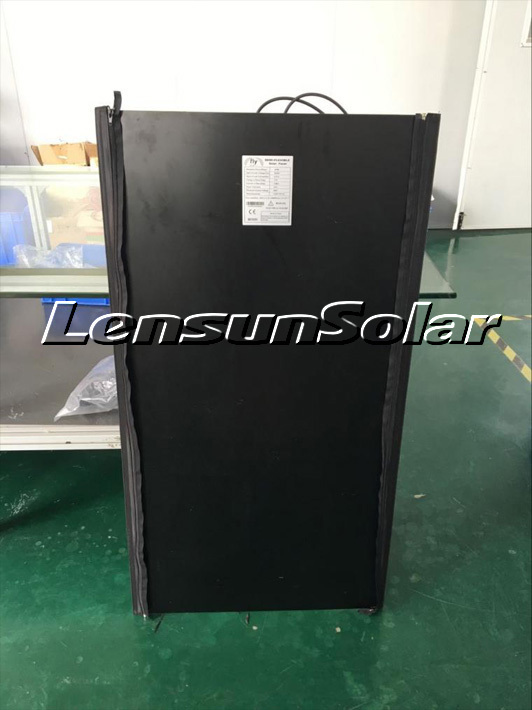 The junction box of Lensun semi-flexible solar panels is put inthe middle of theshort side on the front part of the solar panel. 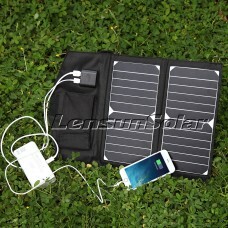 If you want it on the back side of the solar panel or in another position, please tell us. 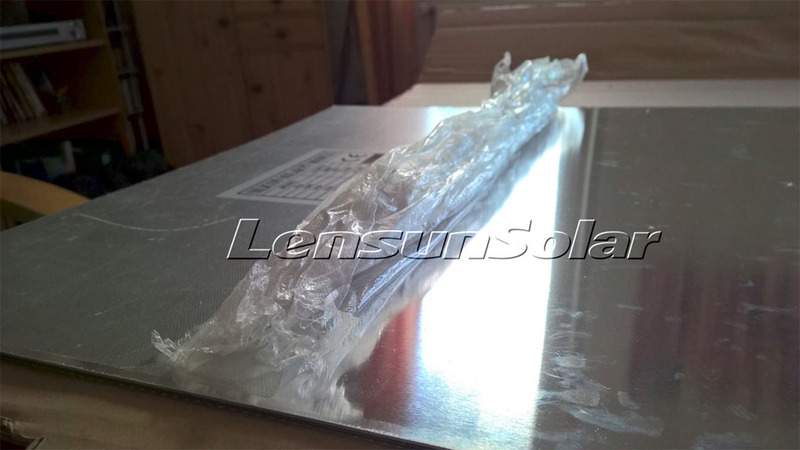 We will then make this design for you to meet your requirements. 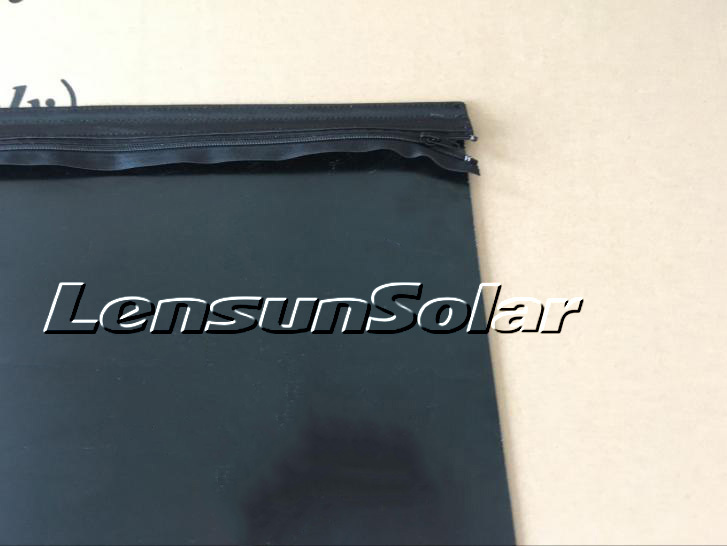 We supply matching cables extensionsand can also provide a range of charge controllers to match the panel. 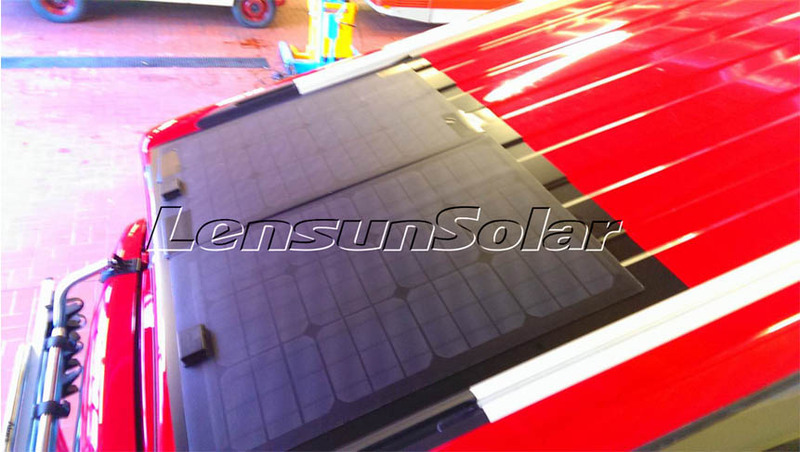 Lensun flexible solar panels can be installed on RVs, caravans, campers, motorhomes, buses, boats, yachts, etc. 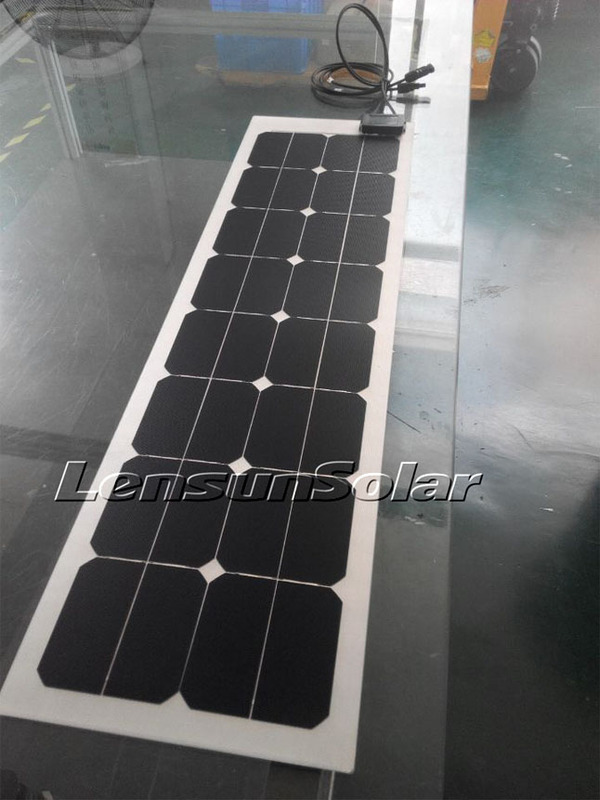 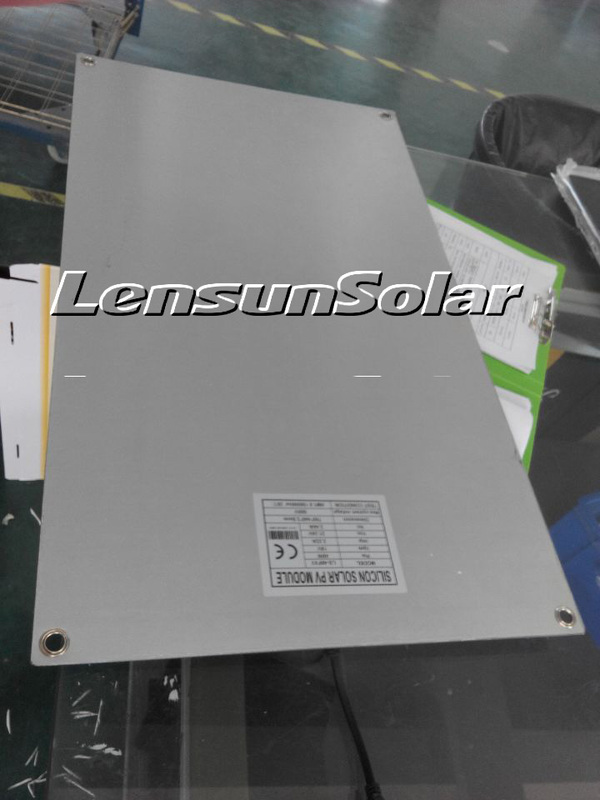 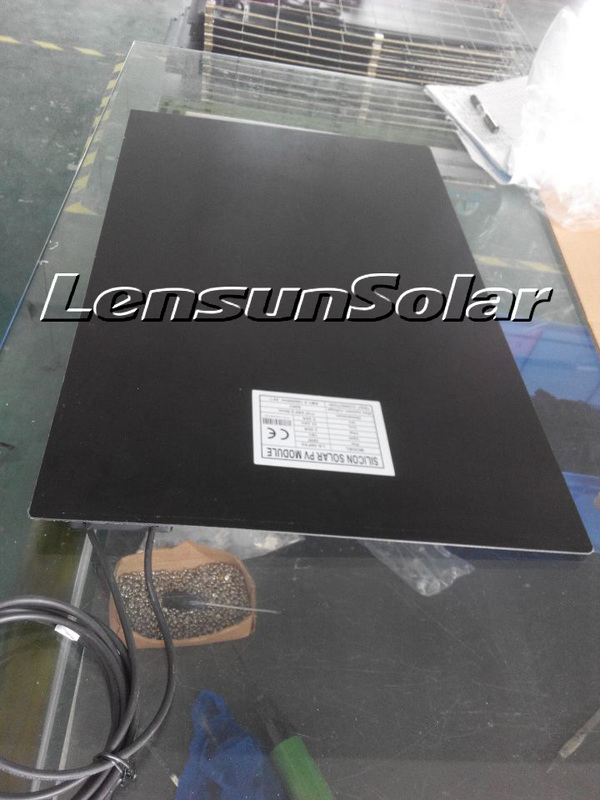 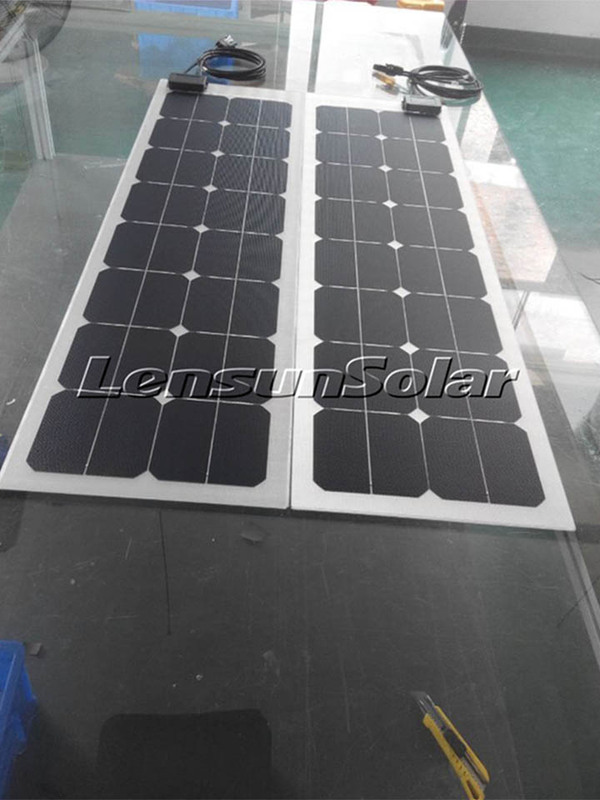 Here are pictures of some of our previous customized case solar panels for our past customers by Lensun. 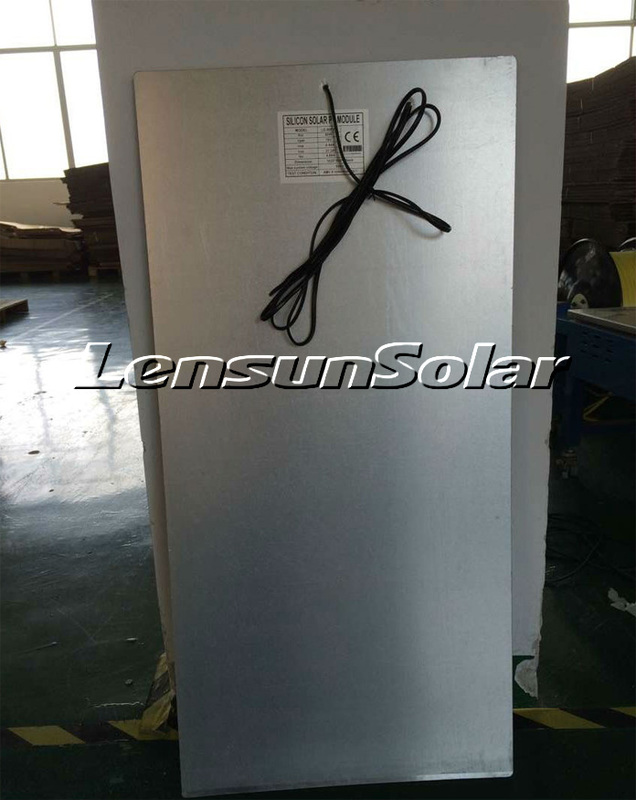 Our customers installed them using adhesives, crews, velcro, etc. 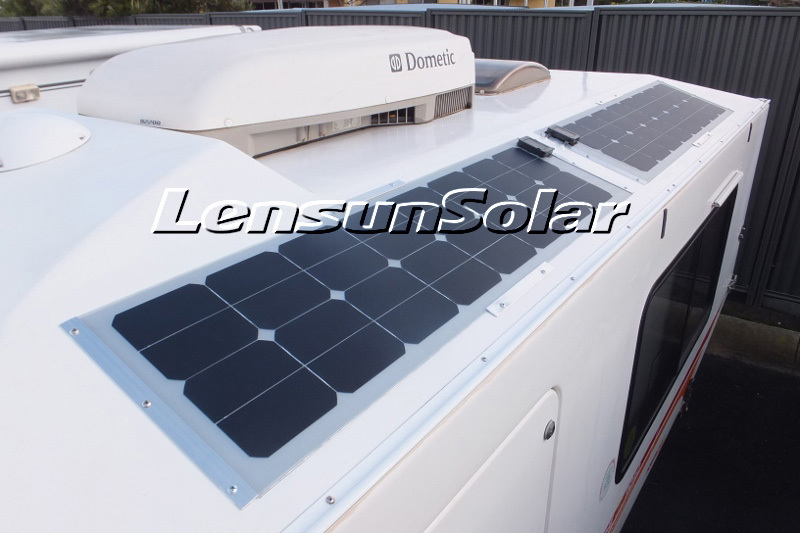 If you are going to install flexible solar panels on your RV or bus, you can use our customers examples as a guide. 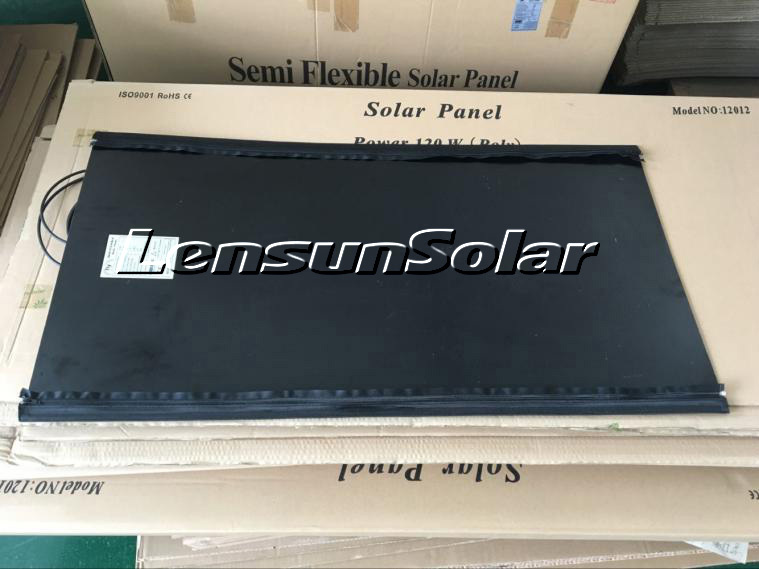 1.Custom 4pcs lensun 50w flexible solar panels for our Australia customers caravan Kimberley Karavan, 1100mm x 300mm 50W flexible solar panel, junction box on the corner with 1.5 cables and MC4 connectors. To see more about the custom case detail, please click on the following link. 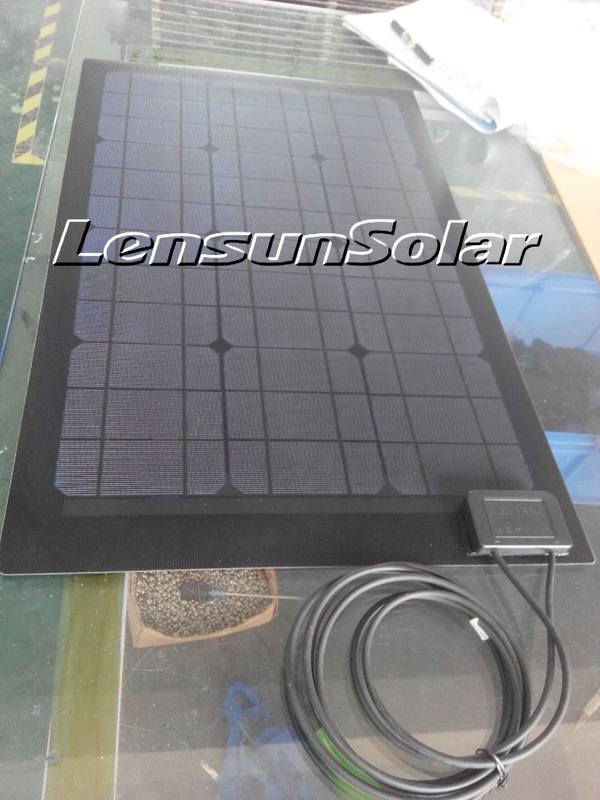 Custom 2pcs Special size Lensun 50W 12V flexible solar panels for our Germany customersVW VolkswagenT4 camping van. 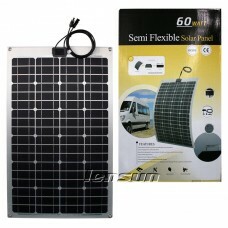 880*440mm 50W 12V flexible solar panel without eyelets on the corners. 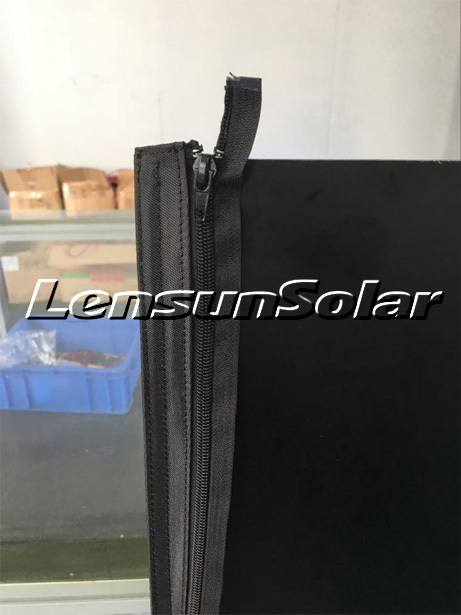 To see more about the custom case detail, please click on the following link. 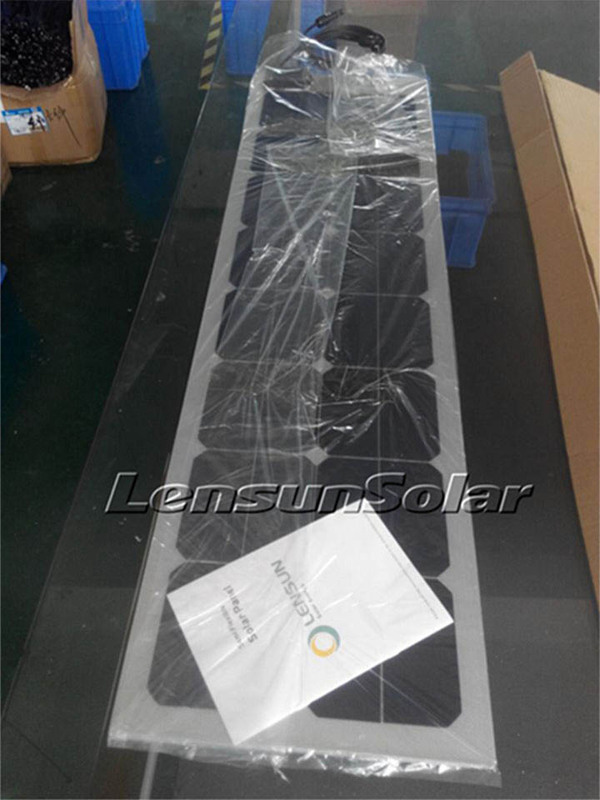 Special Customizing 100W 12V flexible solar panels according to our France customersrequest. 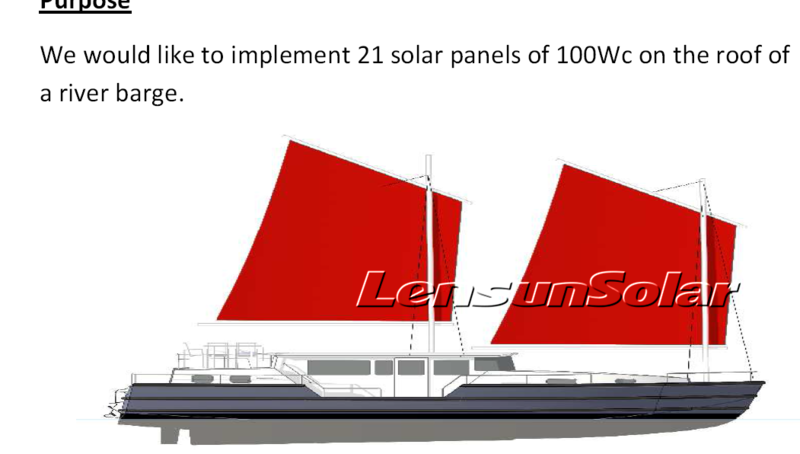 Newdesign to install fiberglass flexible solar panels on his sailboat. 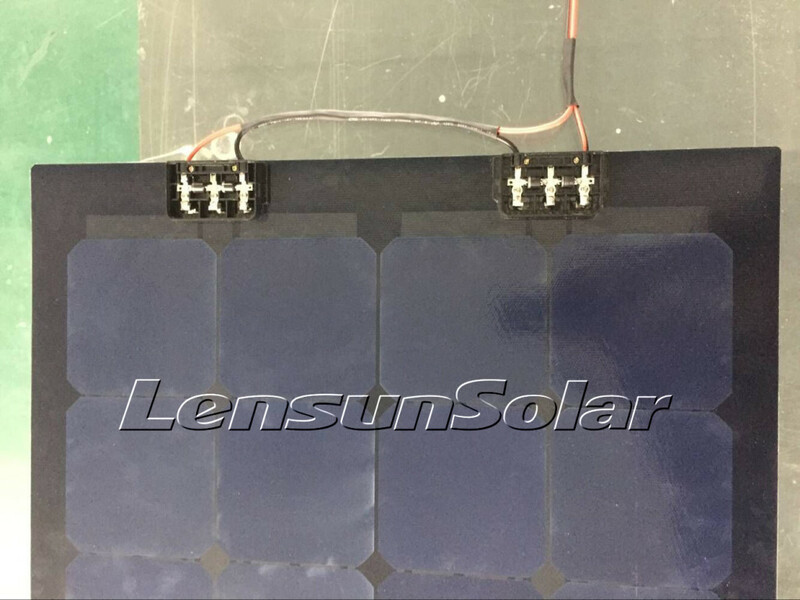 There are four bypass diodes in the two junction box and 0.2mm ETFE Flim thickness. 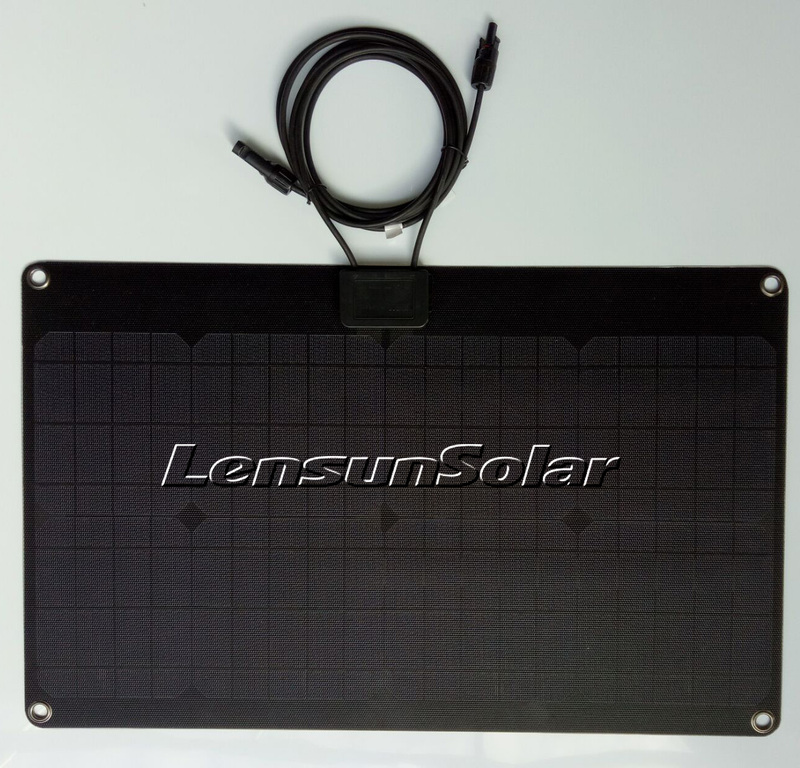 To see more about the custom case detail, please click on the following link. 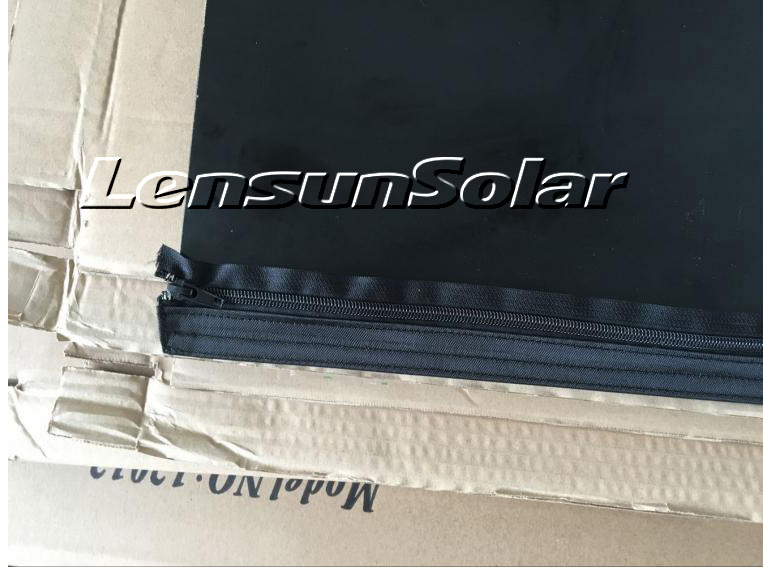 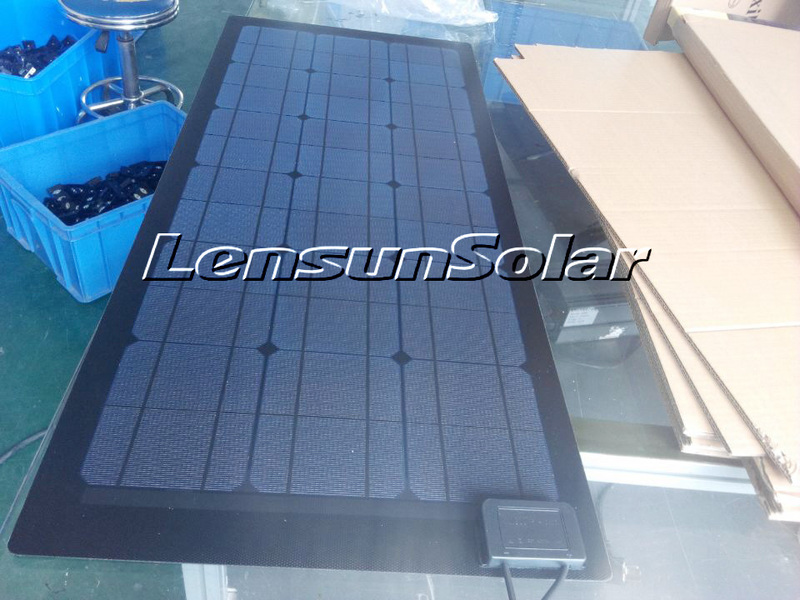 Custom Lensun 100W black flexible solar panels with Zipper for our Italy customers yacht. 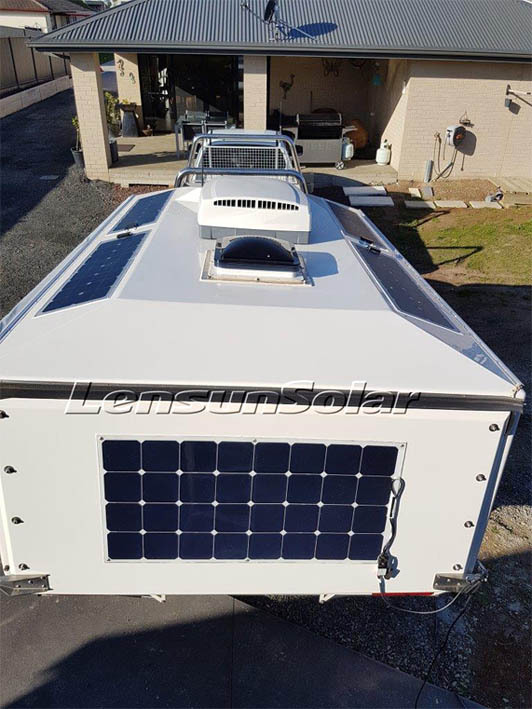 It is very easy to installthem on Yachts. 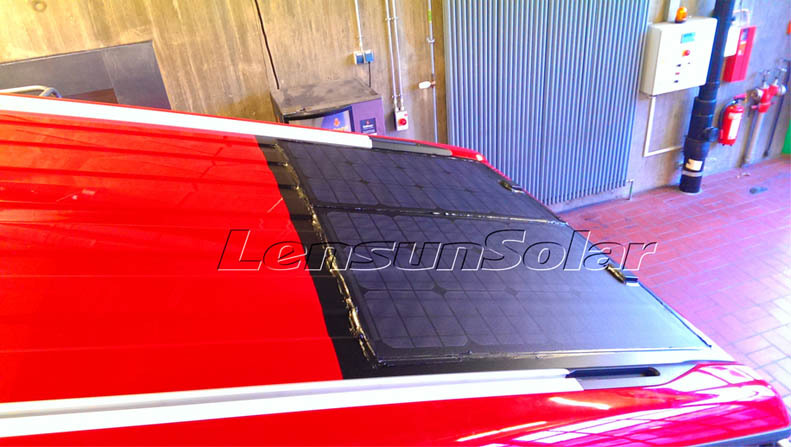 With this type of installation, the panels can be removed easily and stowed safely during the off season. 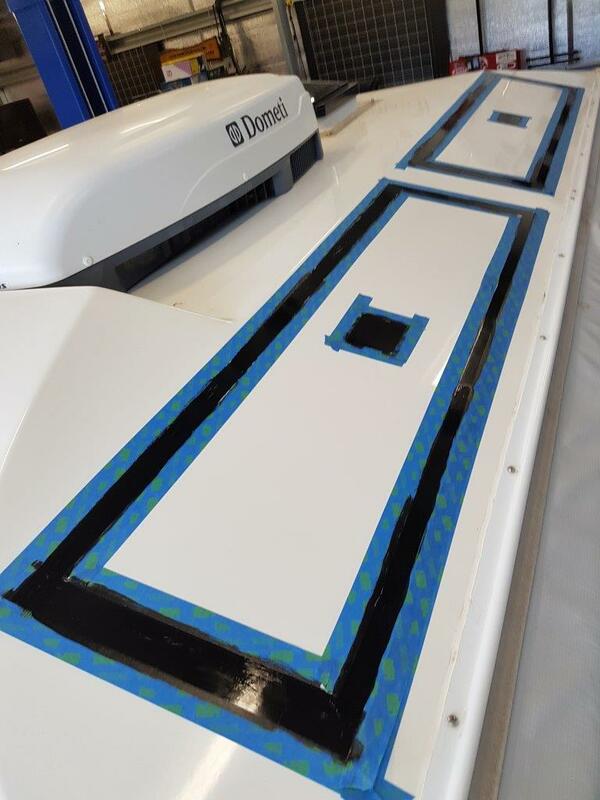 Additionally, this type of installation is a great option if you don’t want to affect the aesthetics of your boat. 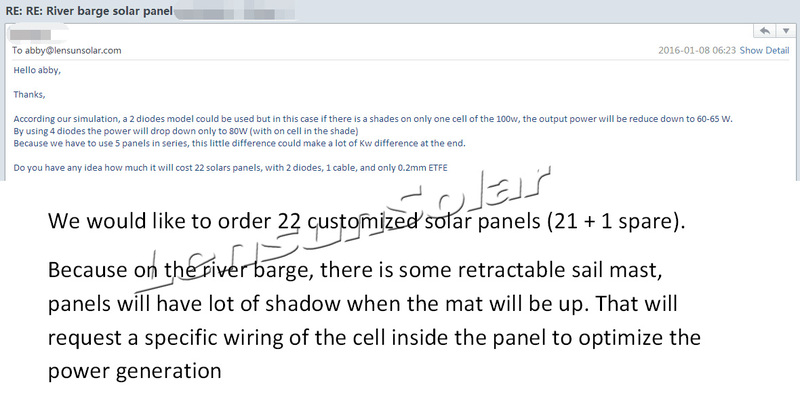 To see more about the custom case detail, please click on the following link. 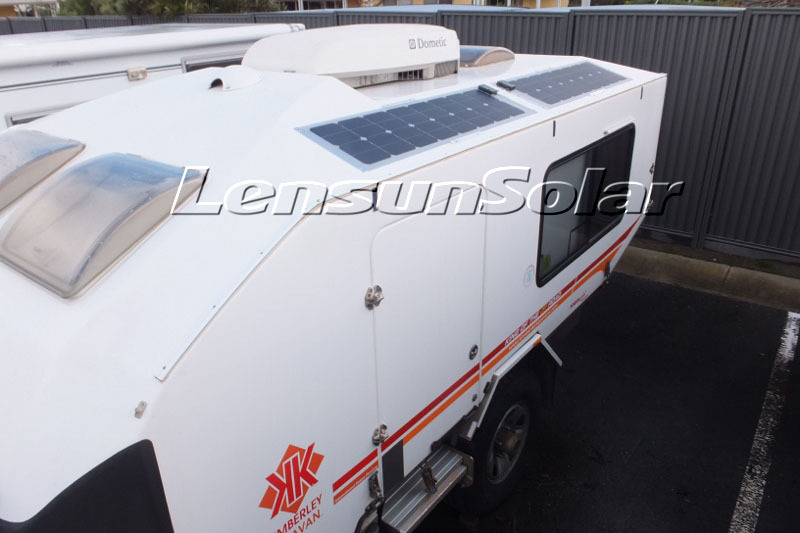 Here are many more custom cases from our European Customers for their motorhomes, caravans and camping vans. 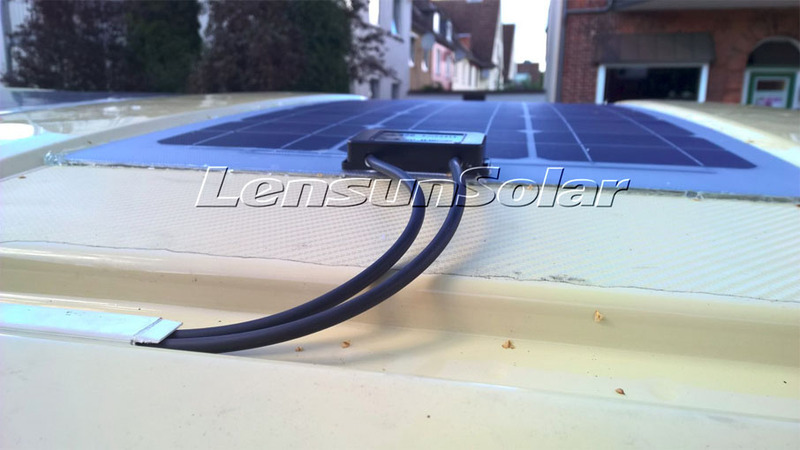 For example, Lensun 50W 880*440mm Black flexible solar panel with junction box on the front side of thesolar panels but the cable exits through the back side of the solar panels for his VW Volkswagen T4 camping van. 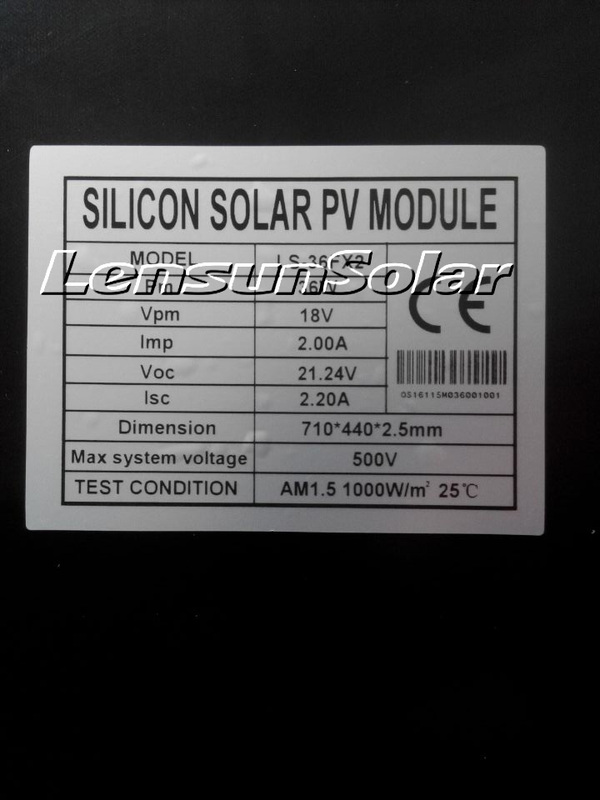 To get more information about installations, please click on the following link.